Enjoy the sights and sounds of a quieter area with all the privileges of a large lake. This fantastic family home or cottage boasts long waterfront views with a sandy shoreline. Living space : 1,250 sq.ft. Cottage is lovely with a spacious main room and large windows to capture the views. Bright kitchen and gorgeous stone fireplace. Plenty of parking and over 2 acres of mostly level land picture perfect for tons of cottage fun! There is also a detached workshop, an outdoor wood burning stone fireplace, an upper driveway/parking area with potential for more out-buildings, parking and gardens. Long sandy shoreline with shallow entry, perfect for child friendly entertainment. Large long dock with enclosed 1-slip boathouse with deeper water at end perfect for boating. Many recent upgrades including: windows/doors, dock & boathouse, shingles, septic, furnace on demand water heater, propane fireplace with efficient propane hydronic heating system. 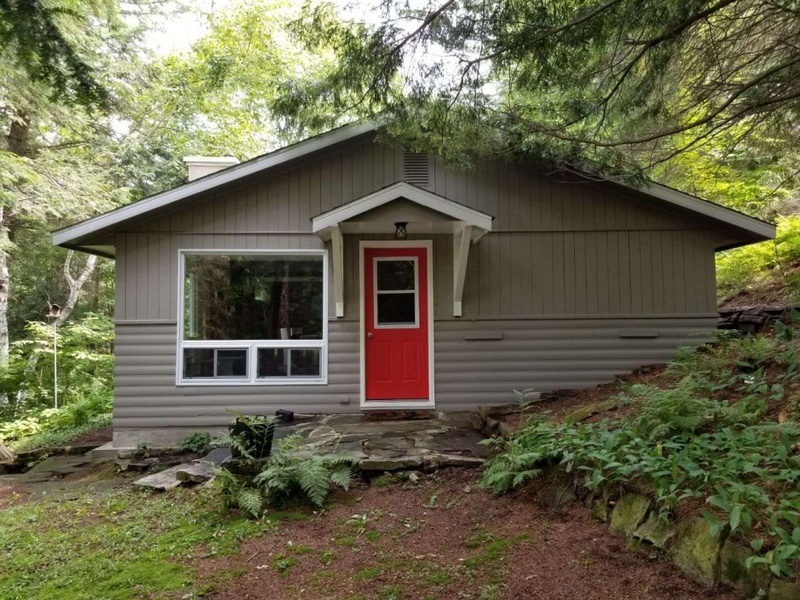 Minutes from downtown Huntsville and on the corridor to Algonquin Park. This is a fantastic family cottage! Would also make a perfect rental. 2 separate lots included.